Harvey is a girls’ house. This building, which incorporates Mount Pleasant Cottage, was officially opened by Professor Susan Greenfield in 1999. 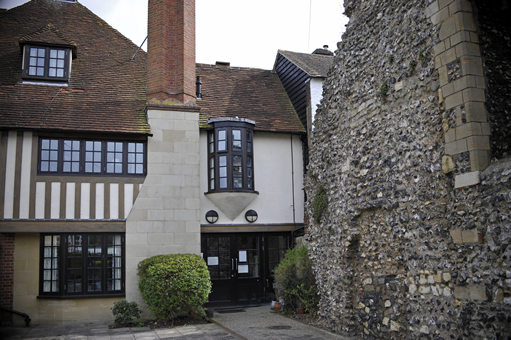 It has a view of Canterbury Christ Church University on one side and the St Augustine’s Abbey ruins on the other. Harvey House started in 1996 at 82-86 Broad Street in the cottages that had been Broad Street House and were later part of Jervis House. It moved to its new home at St Augustine’s in 1998. Harvey House commemorates OKS William Harvey, best known for his book on the circulation of the blood. Housemistresses: Jane Wharfe (1996-2001), Bernie Cocksworth (2001-13), Joanna Cook (2013- ).